​With the Joget Workflow platform, app development becomes more accessible and manageable to coders and non-coders alike. Build a complete app from scratch within 30 minutes without coding. Watch demo video and see how it is done. The App Center is a customizable landing page providing users with quick and secure access to apps. ​Seamless integration with the Joget Marketplace allows for easy downloads of additional apps and plugins. Drag and drop to visually build and configure process workflows. Supports simple or complex processes including synchronous or asynchronous deadlines for reminders or escalation requirements. ​Drag and drop to visually build and configure forms. ​Many powerful form elements for diverse needs including grids, spreadsheets, signatures, etc. ​Drag and drop to visually build and configure tabular lists and reports. ​Built-in support for filtering, sorting, paging and exporting to various document formats. ​Say goodbye to uninspired user interfaces expected in business apps, drag and drop to build user interfaces that embraces Google’s Material design philosophy. ​Responsive to fit desktop and mobile devices, many powerful UI elements such as dashboards, calendar views, charts and many more are available. 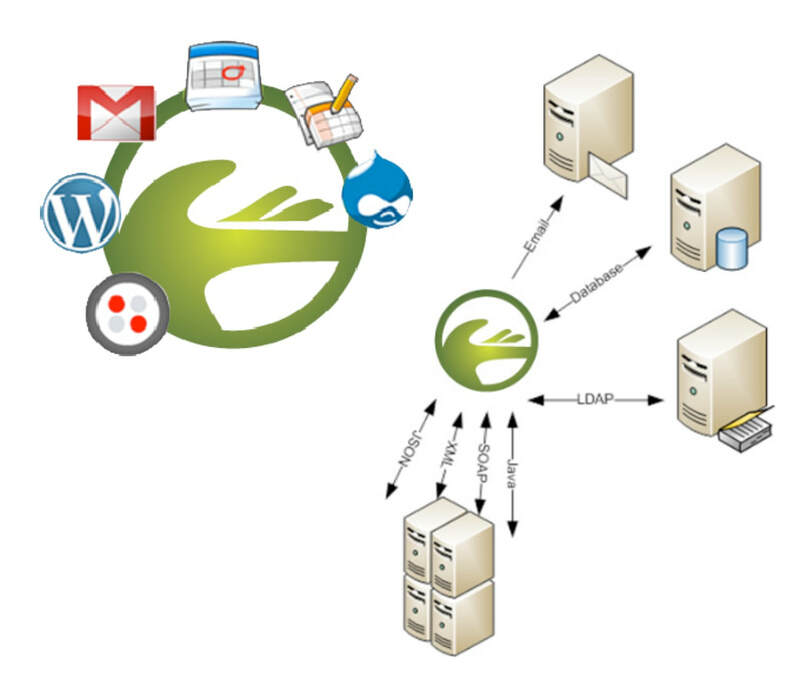 Dynamic plugin architecture allows for developers to extend functionality of the platform. Integration to external systems via various APIs and plugins. Joget Workflow combines the best of business process management (BPM), workflow, and rapid application development in a platform that’s simple, flexible and open. Web-based visual approach empowers non-coders to build and maintain apps. Time to market is greatly reduced, from months to weeks, days, or even minutes for working prototypes. Ease of long-term maintenance and reduced operational cost. Just a web browser is needed to build and maintain apps, anytime, anywhere. Build once, apps are mobile and cloud ready for desktops, tablets and phones. Supports all kinds of complete end-to-end applications, not limited to process centric or data centric use cases. Functionality for enterprise apps ready out of the box i.e. forms, lists, UI, workflow processes, user security and integration. Powerful plugin architecture and APIs allow developers to extend functionality and integrate with other systems. Download ready-made apps and plugins from the Joget Marketplace. The core platform is open source with associated benefits in cost, freedom and security. Fits in your environment: on-premise, in the public or private cloud. Runs on a multitude of operating systems, databases and application servers to fit your infrastructure. Different editions to cater for different feature and affordability needs: Fortune 500 enterprises, government, mid-market companies, small businesses or departments. If you prefer to try out Joget Workflow On-Premise, you can download the installers from the Joget Workflow website. Or if you prefer to try Joget Workflow on the Cloud, sign up for a free account.